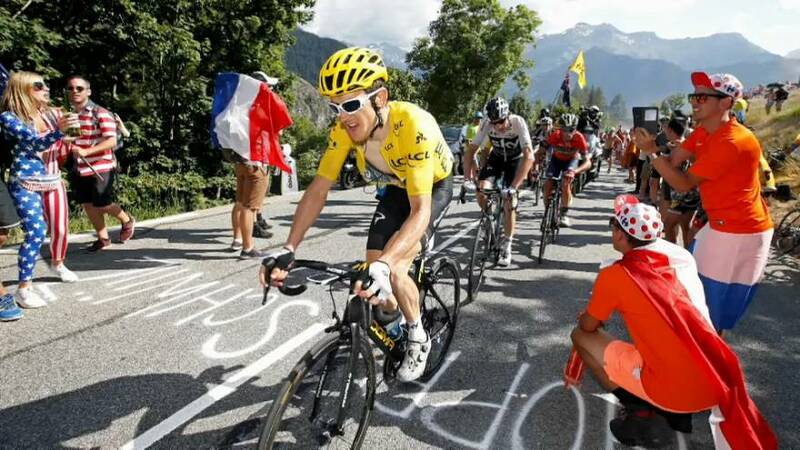 Back to back stage wins for Geraint Thomas mean the Team Sky rider keeps the yellow jersey in the Tour de France. The Welshman came out tops in a five-man sprint finish after climbing up the imposing Alpe d'Huez. In doing so he becomes the first British cyclist ever to win a stage on this, the most iconic of the Tour's mountain climbs. Hot on Thomas' wheels were Tom Dumoulin, Romain Bardet and fellow Team Sky rider and last year's champ Chris Froome. Thomas thus extends his overall lead over Froome to a minute and 39 seconds. Friday's stage 13 should be comparatively easy on the legs with a long descent into Valence.